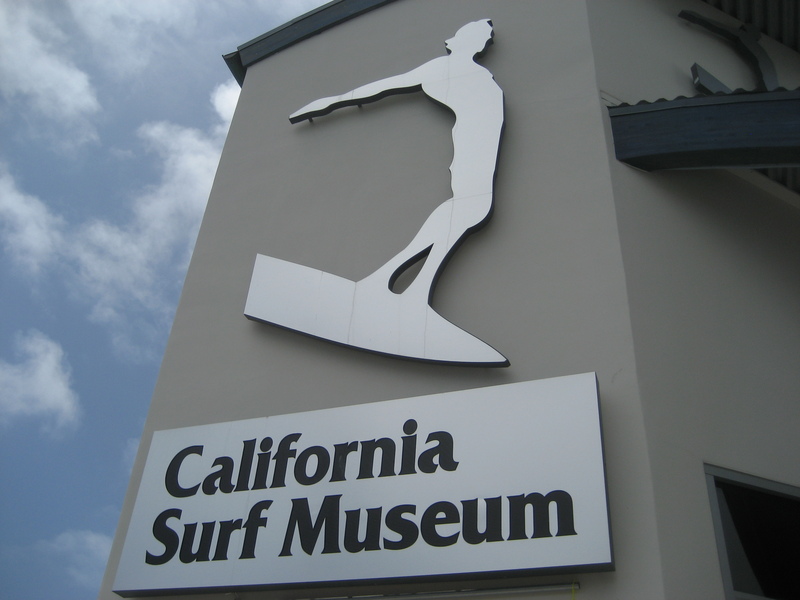 On a recent daytrip south to San Diego, we made a pit stop at the California Surf Museum, located just blocks from the pier in Oceanside. Admission is a paltry $3 for adults ($1 students/kids free) and it’s well worth checking out if you’re in the area. 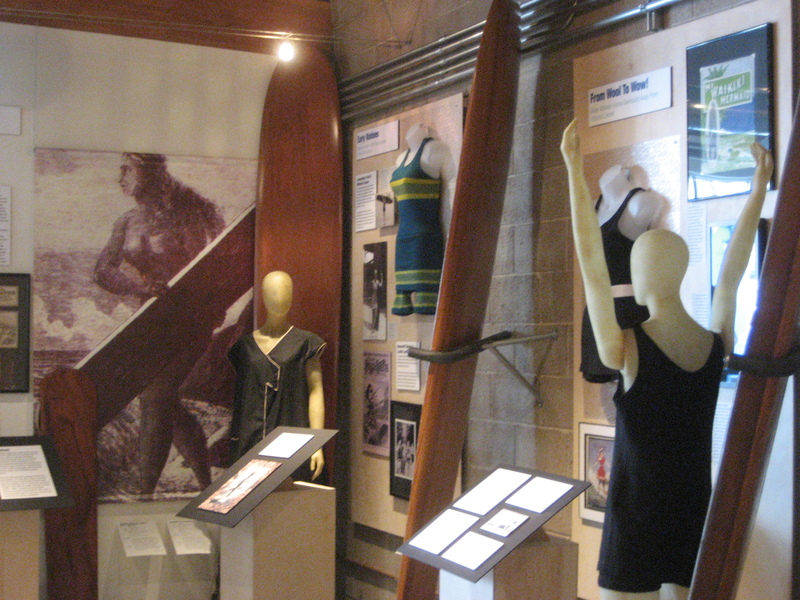 Through the end of the year, it’s featuring “WOW Women on Waves: A History of Women in Surfing,” a collection of photos, surfboards and swimwear. 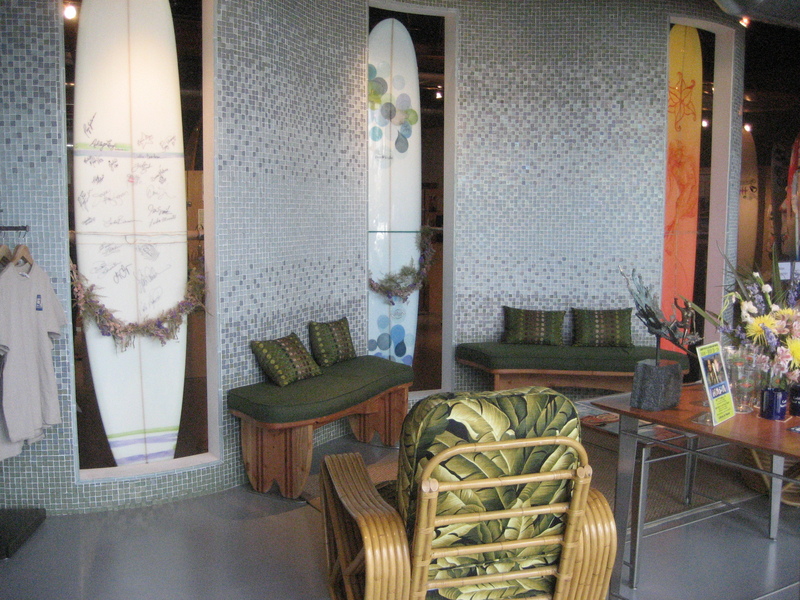 I especially loved seeing all the vintage bathing suits and how the styles changed over the decades. 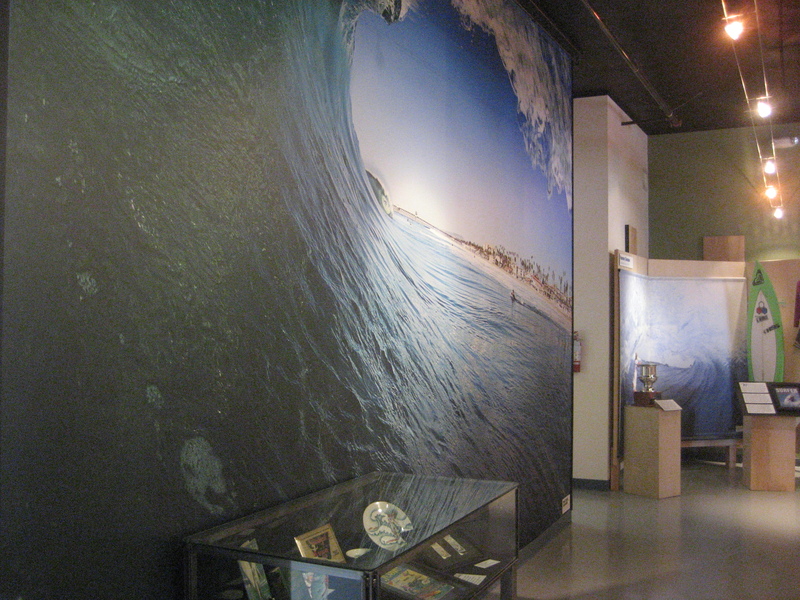 The exhibit was full of fascinating information, but my favorite story (listed under the headline “Good Ride, Norma Jean”) told when Marilyn Monroe first came to Hollywood, she spent her days as a beach bunny and even allegedly dated surf entrepreneur Dave Rochlen. 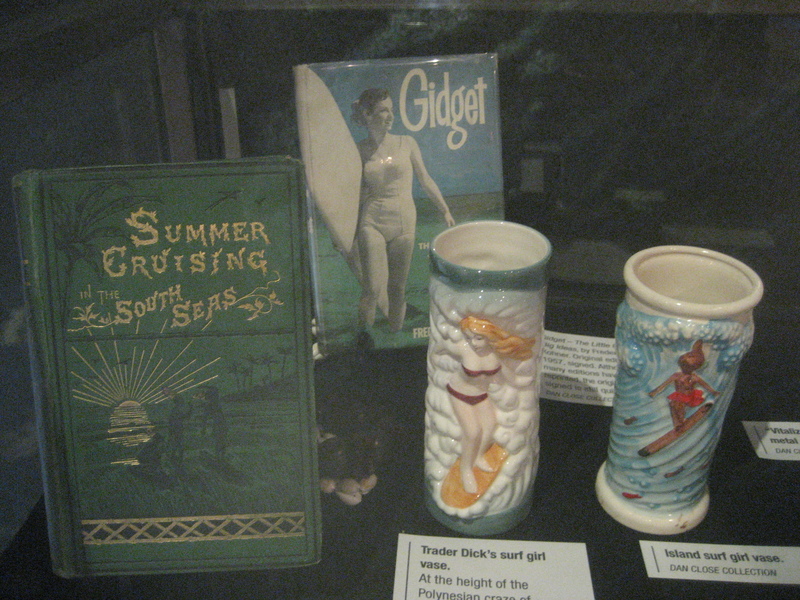 As illustrations of the surfer girl’s influence on pop culture, they had a signed original edition of Gidget and a couple tiki mugs, which were labeled as “vases” for some reason. 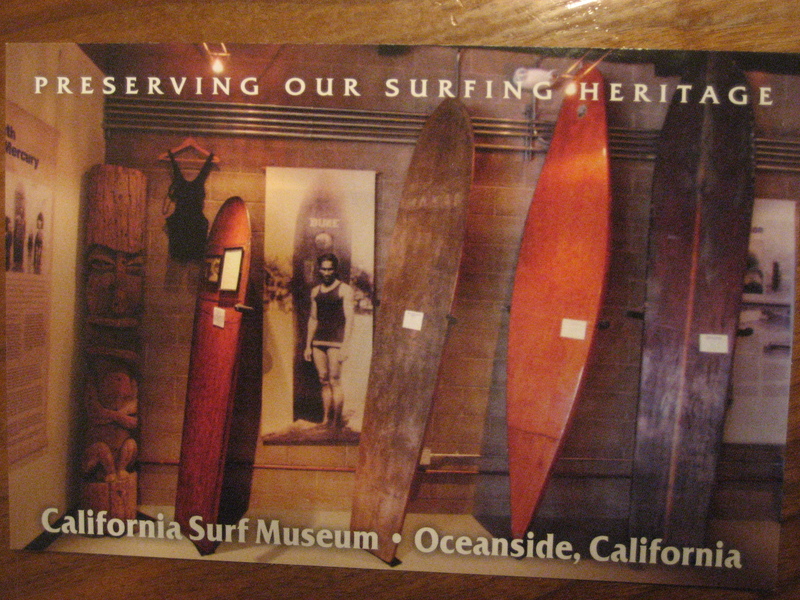 The book “Tiki Road Trip” mentioned that their collection included a tiki that was “supposedly stolen back and forth between rival surf gangs in the 1950s,” but it was nowhere to be seen (except on this postcard). I inquired about it, and they said that it was in storage since it didn’t fit with the current exhibition.